After months of editing and proof reading with Schiffer Publishing, we’re finally delighted to introduce Tree Houses Reimagined – a new book that uncovers the details behind some of our greatest and most well-known projects. 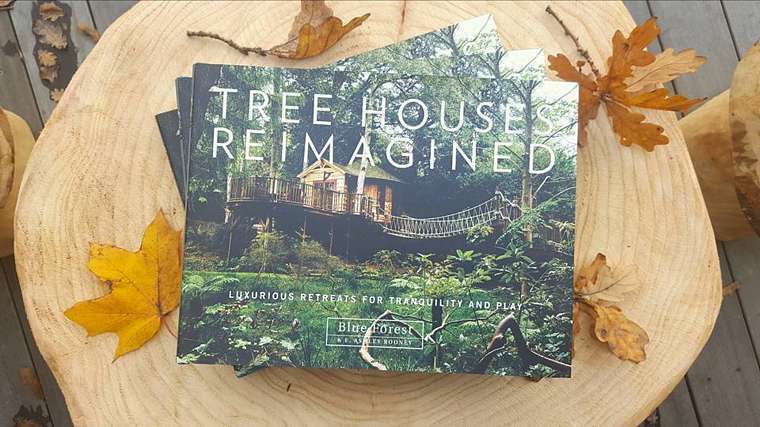 Tree Houses Reimagined is the ultimate coffee table book featuring Blue Forest’s most luxurious and creative designs, with never-before seen site plans, drawings and an exclusive Q&A interview with Director Simon Payne. Detailing 28 imaginative tree houses, from a child’s tree house in a secret garden to party venues for adults, the book will hopefully inspire readers to reconnect with their childhood memories and appreciate the magic innocence of playing in the great outdoors. In only a matter of weeks the book has received glowing reviews and has been featured in The Sun and the Mail Online.